Syria’s air defense systems have repelled an attack by Israeli F-16 fighter jets on the Duwali international airport in southeastern Damascus. Seven missiles were downed, a spokesman for Russia’s national defense management center said on Sunday. “Air defense forces of the Syrian army have repelled an air attack by the Israeli air force on the Duwali international airport in the southeast of Damascus,” the spokesman said. 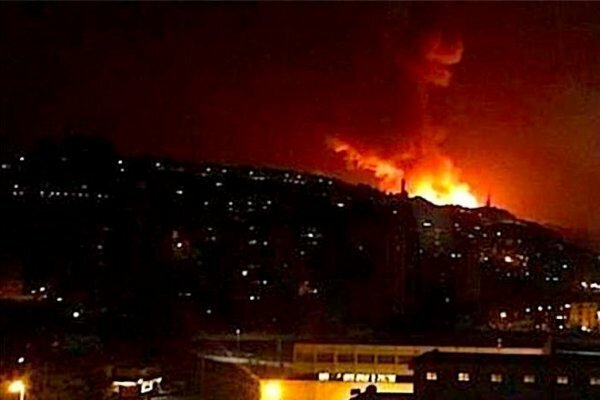 According to the spokesman, the Pantsir and Buk air defense systems hit seven Israeli missiles. “No damage has been done to the airport’s infrastructure. No casualties or damages have been reported,” the spokesman said. The air strike was delivered by four Israeli F-16 fighter jets from the Mediterranean Sea at 13:32 Moscow time. Guided aircraft missiles were used. Earlier, SANA news agency reported that an Israeli air attack had been repelled in the south of Syria.